12 Responses to Without Comment. I found it so too! laughing right out loud this early in the morning. the neighbors think I’m nuts! Just one typo is all that it takes! I trust my parents paid for me as I was too dumb and unintelligible. My response will be in the form of a new blog post. Watch out for it. LOL LOL oh, one of those terrible typos. 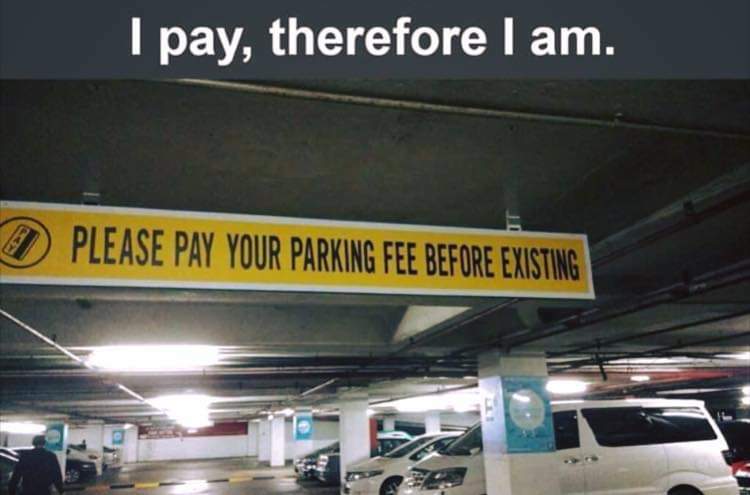 The fun axiom “I pay therefore I exist” can have another interesting meaning: I pay (as in for Karma) therefore I exist (I reincarnate) lol ;). You caught on to that one! Quite a valid interpretation too.